Strategic Planning at Wilberforce University is an on-going experience that manages our goals and aspirations through planning, implementation, and assessment. 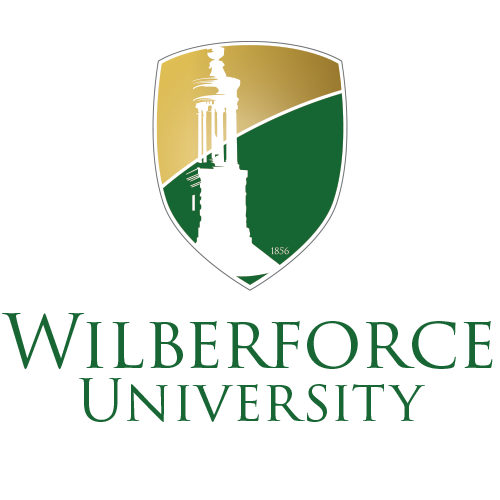 The Wilberforce University 5-Year (2014-2020) Strategic Planning Timeline is informed by the vision, mission, four foci, directives, and value drivers, that are characterized as The Wilberforce Renaissance. Established in 1856, Wilberforce University, the nation’s oldest private Historically Black University founded by African Americans, can trace its origins to a period American history before the Civil War, when the Ohio Underground Railroad was established as a means of escape for all those persons of African descent who sought their freedom from the yoke of slavery in the North. One of the destination points of this railroad became Wilberforce University. Our mission is to help our students identify and prepare for their respective purposes in life as global citizens by imparting knowledge, instilling discipline and inspiring lifelong learning through critical inquiry, personal and spiritual development and practical application. Establish and sustain fundraising activities to ensure a lasting Wilberforce Legacy. Operationalize the history and tradition of Wilberforce by developing student bodies that exit with measurable and contributing skills to solve national and international problems as well as show that our students are global citizens. Build and sustain collaborative partnerships between the university community, African Methodist Episcopal Church, Community, Alumni and partners that allows for strengthening Wilberforce University contributions to change national and international human condition needs. In 2017, as part of a mid-point review, Wilberforce University embarked on a process of reviewing the outcomes and efforts of the strategic plan. A set of inquiries, spearheaded by Kateland and Associates, assisted the university in identifying our progress and additional ways to operationalize the strategic plan in accessible and meaningful ways for all constituents. We discovered through our process of inquiry, that we needed to ensure our success through accessible language/practice, The result of this inquiry process was an invitation to (re-)engage. We invited students, staff, faculty, alumni, and other constituents to join us in participating in a process. These approaches and adaptions, inspire continued achievement of the directives set in 2014 and provided for active participation by the entire campus community in a strategic process that offers intentional reflection, innovation, and visible change to enhance student learning and outcomes. The strategy of naming and infusing the value drivers serves to focus the Wilberforce community to locate themselves through active participation in the strategic thinking and planning and in turn strengthen our performance and outcomes. The Wilberforce Renaissance: Reclaiming Our Institutional Prominence, describes our practice, our aspirations, and our outcomes as it relates to strategic thinking and planning. The Goals and Institutional Value Drivers are the tangible, everyday implementation of the strategic plan, making the directives of the plan real and accessible. The use of the framing, The Wilberforce Renaissance: Reclaiming Our Institutional Prominence, describes our practice, our aspirations, and our outcomes as it relates to strategic thinking and planning. The Wilberforce Renaissance: Reclaiming Institutional Prominence is the tangible, everyday implementation of the strategic plan, making the directives of the plan real and accessible. Institutional Performance Scorecard-Our Scorecard helps to communicate oversight and track progress on our Strategic Goals and Institutional Value Drivers. The goal of the Scorecard is to give a snapshot at a point in time. These high-level measures are comprised by combining important data collected in departments.These information collected for scorecards assist us in prioritizing the resources of the University. As Wilberforce University moves forward, strategic thinking and planning continues to be an important element of our success. Our assessment and analysis is completed through a collaboration between the Office of Institutional Effectiveness and Compliance and the Office of the Executive Vice President and Chief Innovation Officer. The University is engaged in our progress through report submissions, the website, and during Board of Trustee meetings, which happen in the fall and spring semesters.